Having a meat grinder in the kitchen makes it a truly versatile tool and a great asset to any kitchen. Since the food that you buy from a grocery store or a restaurant might lack the qualities that you desire, or comes with chemicals or additives that are dangerous for your health, it’s great to have a meat grinder and thus the control over the meat that you are grinding. 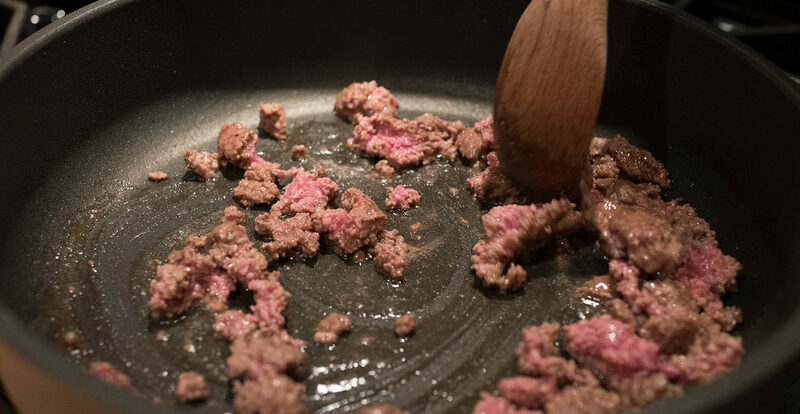 But have you always wondered what to cook with all the ground meat that you produce? Well, I decided to choose my two amazing and also very favorite recipes that employ ground meat and help you make great meals with it – both of them are quite tasty and will make the guests praise your culinary skills! * Instead of ground beef, you can also use lamb, ham, turkey, or the corned beef. ** You can use two teaspoons of dried instead of fresh minced thyme. The first thing that you’ll have to do is to heat the iron pan over the medium heat. 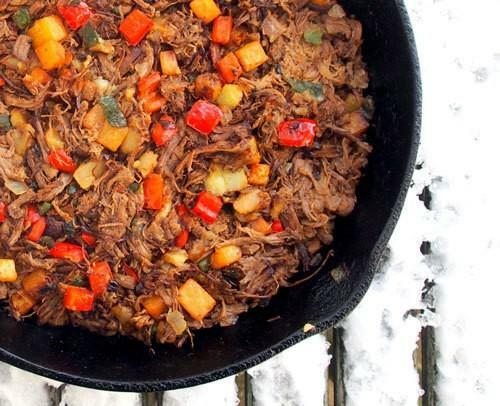 We recommend using the 12-inch nonstick pan, or just a well-seasoned cast-iron pan, and we should also mention that a cast-iron skillet of the same size will take at least three minutes to heat up. Once the pan is properly heated, you can add the oil and the butter, and then wait for the foam to subside. After that, just add the diced pepper and the onion that you’ve prepared. Toss to coat it with the mixture of oil and butter, and cook it for some five minutes, and also don’t forget to stir it as frequently as possible. Wait for the onions to start looking translucent and get that well-known gold-brown color, after which you can safely add the potatoes and cook the whole mixture for additional time – for about five to seven minutes. Stir the whole mixture frequently, and once again wait for the brown color – but this time on the potatoes. At this point, you can add the meat, whether it’s the beef, turkey, corned beef, or lamb. Also add one-half of a cup of the chicken stock, as well as the spices – pepper, salt, thyme (dried or fresh), as well two tablespoons of parsley. All of these needs to combine properly, so stir it as much as you can. Once the ingredients are well-mixed with each other, cook for an additional seven minutes without any stirring, waiting for the bottom of hash to get that brown color and the crust. Once it does, break the hash, thus mixing the crust into the mixture of meat and potato. Repeat this twice while the crust forms at the bottom, and then add the additional one-fourth of a cup of the stock while the mixture is drying. Once the last crust is finally formed, taste it to know if you’ll need to add some more seasoning or salt. Then, allow one last crust to develop at the bottom, and then sprinkle it with the remaining parsley. Now that the meal is done, you can serve it in wedges, together with some poached eggs. We’re pretty sure that you’ll like the taste of this delicious dish and that you won’t make it only once. It’s a great recipe to try out the meat grinder that you’ve just bought, and a nice way to finally realize that the meat you’ve ground at your own home tastes much better. What’s a kofta? – You might be asking, and our answer would be that this a form of meatloaf or meatball dish that comes from Balkan, Middle Eastern, and South Asian cuisines. In the simplest version, these are the balls made of ground or minced meat – chicken, pork, lamb, beef, or other – mixed with onions or various spices. I’ve decided to bring you the grilled lamb kofta recipe, as it tastes great and is an excellent opportunity to use your newly-bought meat grinder. Let’s check out the ingredients and the instructions! *The slices of bread that we mentioned need to be soaked in water for half an hour, and after that squeezed dry. Start the whole procedure by taking the largest bowl you have and combining the onion, parsley, lamb, bread, paprika, cumin, red pepper flakes, cinnamon, pepper, and salt in it, and mixing it well. After that, you’ll have to wet your hands and mix the ingredients some more until they get a smooth, uniform consistency. In order to achieve this, you will probably have to wet your hands a few more times during the process. The mixing needs to be done as best as possible since the right consistency is the key to the whole recipe. While you knead, you’ll see how the fat disappears deep into the meat and how the whole mixture finally gets the consistency of the wet bread dough – looking very silky, shiny, and tacky. 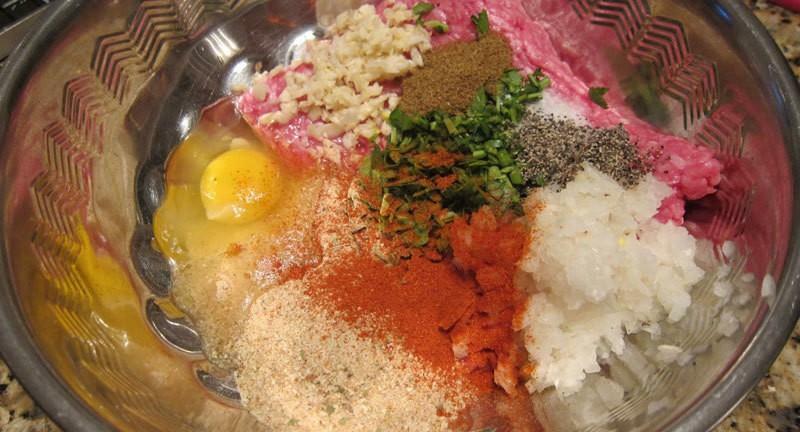 Once the mixture reaches this appearance, you will have to divide it into at least eight portions (but you can go with more), and then shape each of those portions into an oblong sausage form around a skewer with flat sides. You can also shape the portions into a bunch of small patties. 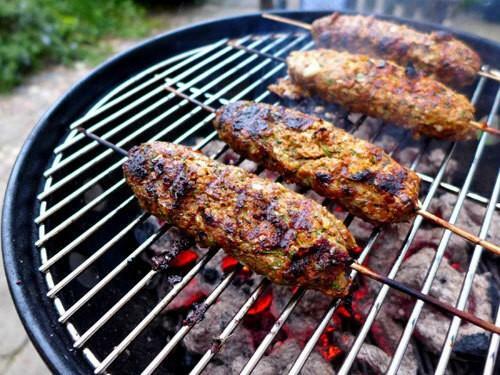 Once this is done, you can prepare the grill and place these kofta patties or skewers on it, cooking them until they’re cooked through – give each side at least three to four minutes of cooking. In order to know if the koftas are adequately cooked, you will have to cut into some of them and peek inside. If their insides are just barely pink, they’re done and ready. Take them off the grill and serve them hot, along with some yogurt and pita bread. Since this is quite an exotic recipe and many people would like the know about the contents per serving, here they are – sodium 110 mg, fat 17 g, calories 262, calcium 56 mg, Carbohydrates 9 g, saturated fat 7 g, dietary fiber 2 g, cholesterol 72 mg, and protein 19 g.
In our opinion, the grilled lamb koftas taste great, and we’re kind of sure that you’ll agree with us once you make them and try them out. Since the grounded meat is the main ingredient of the whole recipe, the koftas are also a perfect opportunity for you to turn on the grinder and see how it works.